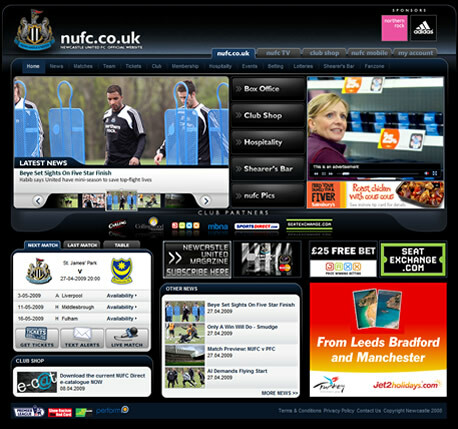 Although football club websites are mainly used by users to find out news and team updates etc. 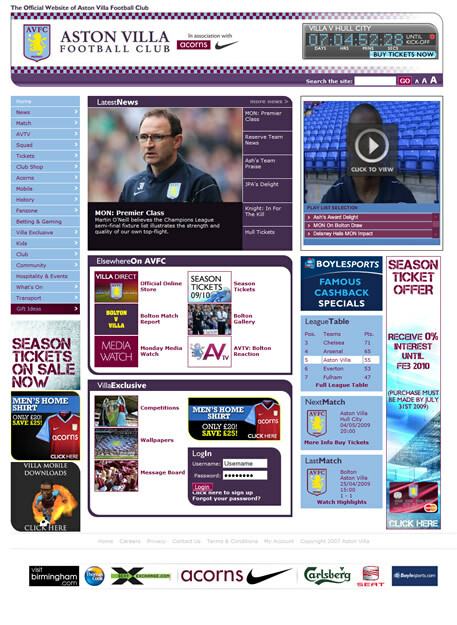 From a web design point of view they are very interesting as many of them contain an absolute massive amount of information ranging from current team statistics to team history to the ability to renew season tickets and purchase replica kits online. I like this site, it has some great imagery and the huge amount of content is laid out pretty well. The site also has a really slick content bar underneath the main header where a user can log into the site to see their account details etc. 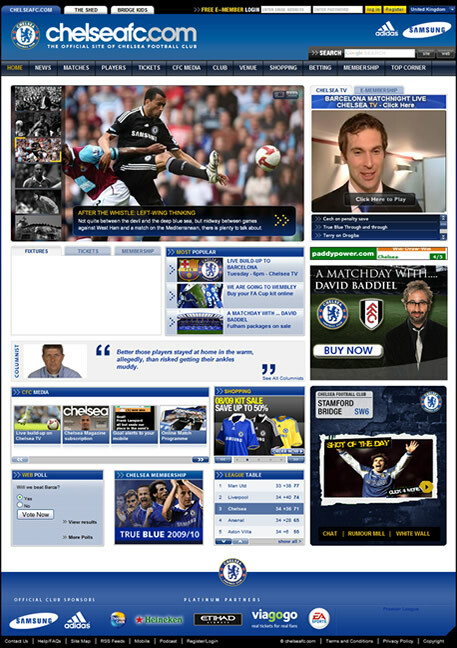 This site looks very dated and a little bit cluttered in places. 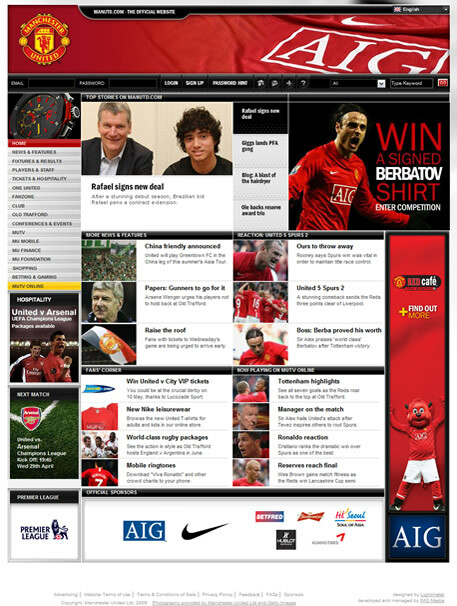 The disadvantage of this design is that it only allows for one major news item as opposed to the four on the Manchester United website. This is a very image-based website and some of the flash used works really well. 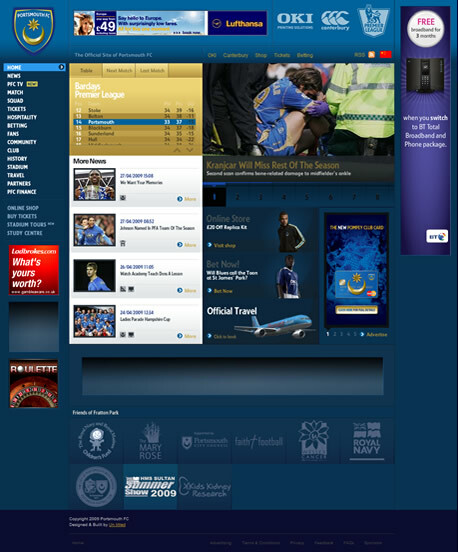 The layout of the content is quite similar to the Liverpool one but the Chelsea website achieves a much more usable layout. 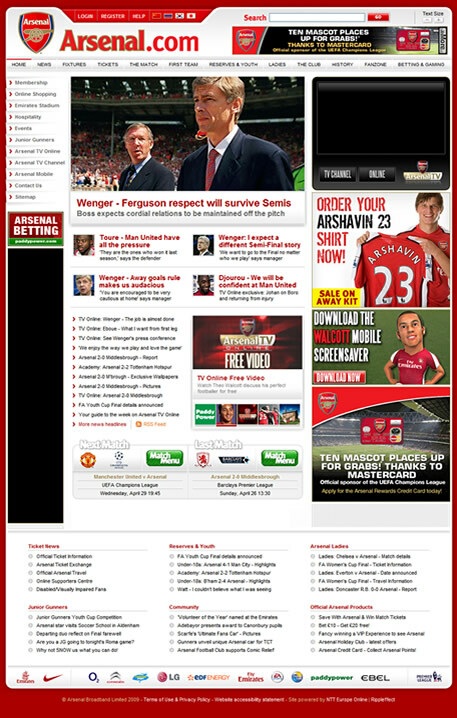 Not a lot of content above the fold on this site, although the main navigation and headline is prominent. 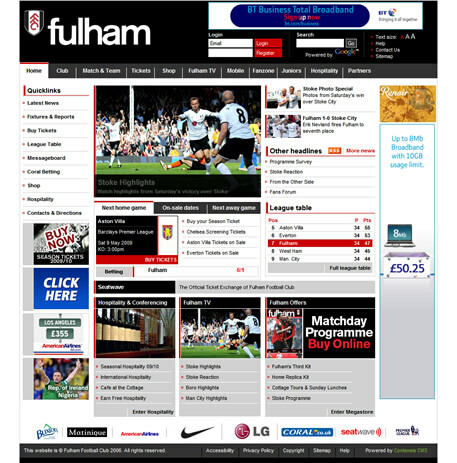 The layout of the site is one of the best in the league though and the footer-style lists at the bottom of the homepage work really well. Quite nicely laid out but a lot of white space and looks very sparse in places. 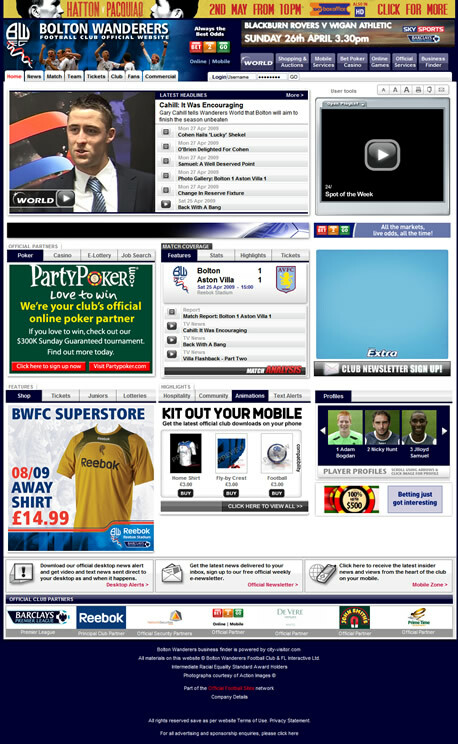 A mid-table website at best. I know Everton play in blue but there is a lot of blue here. Some of the imagery used is nice but the layout and text style leaves a lot to be desired. 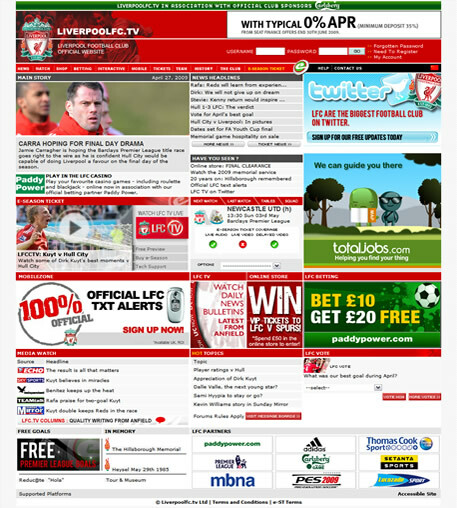 Quite a plain looking website but uses what little colour it has well and the tabbed navigation is effective. 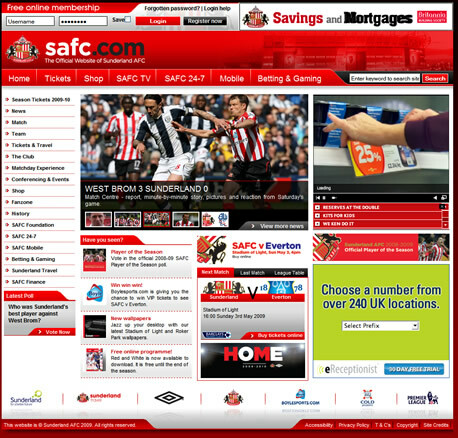 One of the most sparse sites in the league in terms of content but uses colour very well to break up the different sections further down the page. 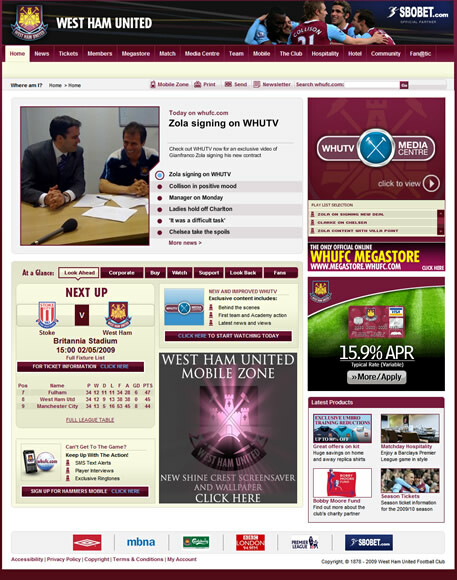 Quite well laid out but much like the West Ham website, doesn’t display a ton of information on the homepage. Navigation looks a little dated as well. A nice website in terms of colour, layout and features. There doesn’t seem to be a lot of content featured but what it does display is important and the homepage uses it’s space well. 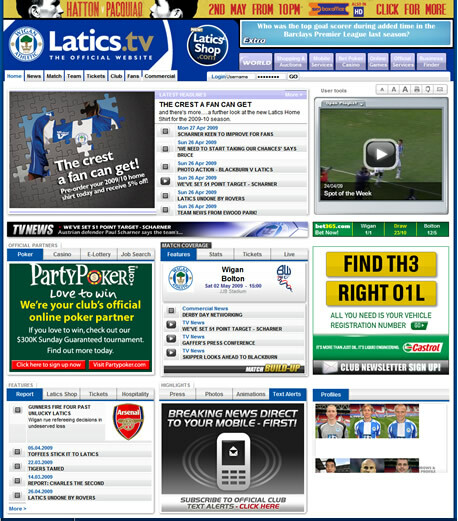 The Wigan Athletic website uses a template which many other football league sides use, this is quite unusual for a Premier League club as many decide to use a bespoke design for their own website. 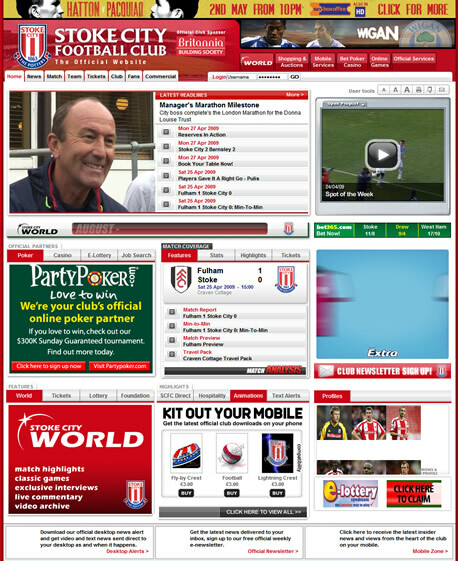 Again, like Wigan, Stoke use a template for their website. This is perhaps a little more understandable as they are a newly promoted side, perhaps if they avoid relegation this season we will see them implement a new website next season. 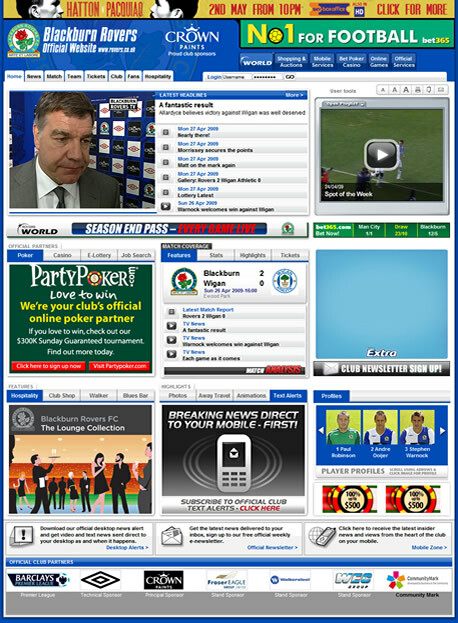 This is a great website, it uses flash very well and has one of the most individual designs in the league. 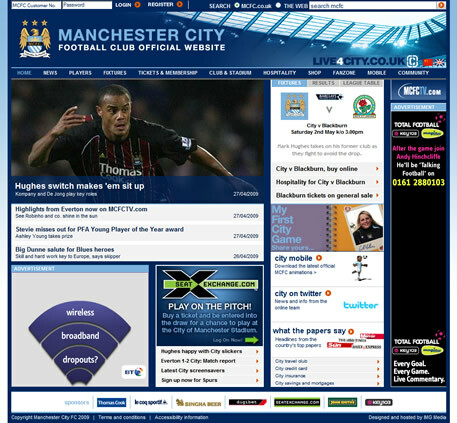 A decent site in terms of colour and layout but not massively unique. Not surprising to see the newly promoted side using the football league template. 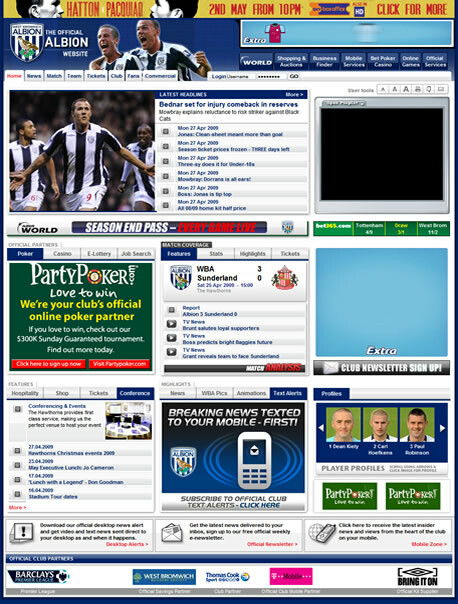 Quite a dated looking site which is displayed in the use of pop ups and drop down menus. 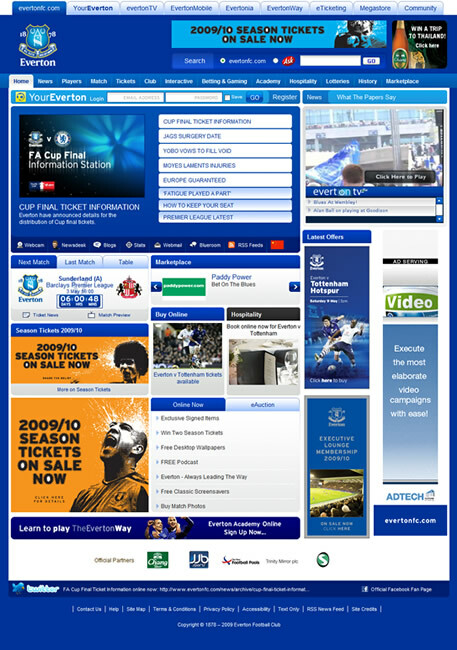 Sparse in terms of content but a very nice design and much like the Portsmouth website, one of the most unique in the league. 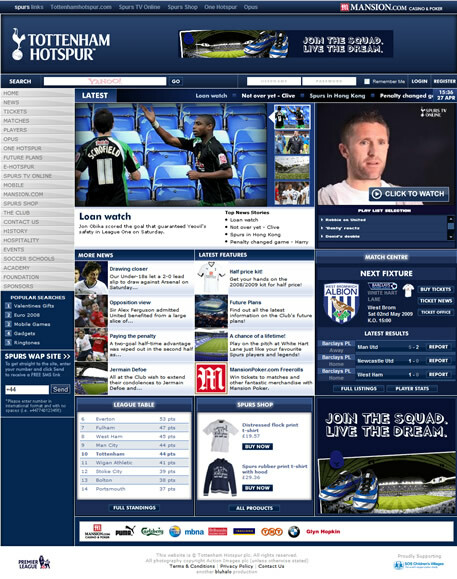 The final template site in the league from newly promoted WBA. Much like the actual league, some great looking sides and some not so good looking ones. There are some shocks in there and some very poor displays from some long standing Premiership sides. 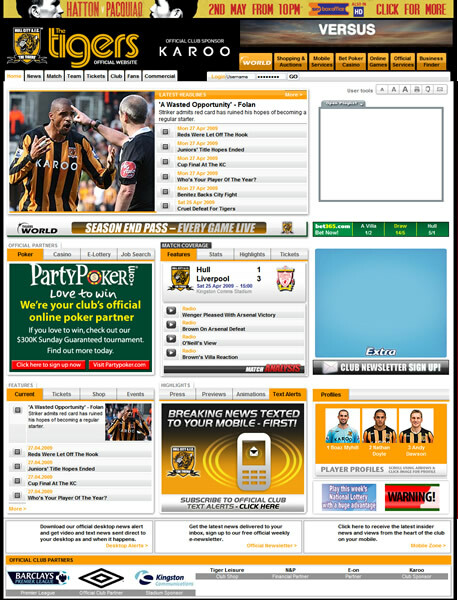 The three relegated sides suffer due to them being in the Premier League for a considerable amount of time and still using a template designs for their website.